OnePlus has pushed out OxygenOS 4.1.0 for both the OnePlus 3 and the 3T, which brings with it a couple of additions and miscellaneous improvements and bug fixes. 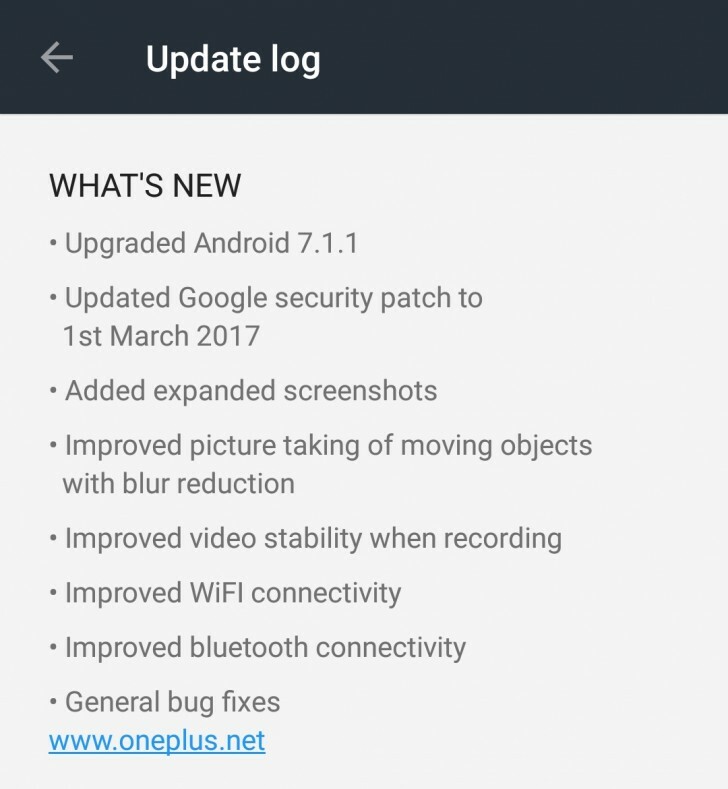 The first big change is the upgrade to Android 7.1.1 from the 7.0 that was in the previous build. 7.1.1 comes with a bunch of changes on the Nexus devices, however, the list of changes on custom ROMs like OxygenOS is very small and the only thing we could spot is a new emoji set with more gender diverse emoji. Another thing that the update adds is expanded screenshots, which lets you scroll and take longer screenshots. The update also brings Google security patch for March. The list of improvements include reduced motion blur while shooting moving objects, improved video stabilization, improved Wi-Fi connectivity, improved Bluetooth connectivity, and general bug fixes. I'm yet to upgrade my 3T. Specially to get rid off the Bluetooth bug; while bringing this back to general from Airplane mode, the Bluetooth starts looking for the mates. Even before OP3 was released us OP2 users didn't get as much updates as the current OP3 users are getting.